The primary cause of wrinkled skin is the loss of collagen, the substance that gives your skin its elasticity. This is a natural part of the aging process, but it is easily mitigated with a good skin care routine and a judicious use of Botox® Cosmetic and wrinkle fillers like Juvederm and Radiesse. Other causes of lines are sun damage and excessive use of muscle groups during frowning, squinting, etc. Botox® Cosmetic is the best treatment for these overactive muscle groups, and is a long lasting solution to help smooth lines and give an overall refreshed, relaxed look. Why is the injector Important? Behind every great result is an accomplished and knowledgeable injector. Your injector is the most important factor in any procedure you choose, whether Botox® Cosmetic or fillers, and will make the difference between having a good experience and a great one. 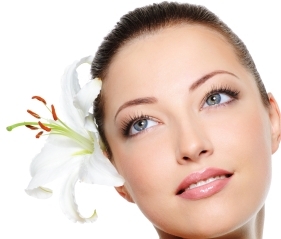 Our physician injected Botox® Cosmetic, Juvederm and Radiesse ensure your outcome is consistently fantastic! However don’t forget to protect your investment with our scientifically proven line of skin care.